Hillmount House is a unique new wedding and events venue on the Antrim Coast. This Georgian gentleman’s residence, stable-block and coach-house with sea-view gardens is a stylish venue offering couples the opportunity to create a beautiful bespoke wedding. But what makes this venue truly special is exclusive hire of the wonderful Georgian Country House for up to 10 people for the weekend to include afternoon tea on arrival, evening supper, bed and breakfast. It’s rustic stable-block is perfect for a vintage inspired ceremony and wedding reception for up to 100 guests whilst its lawns offer plenty of space and fabulous views for a magical marquee wedding. 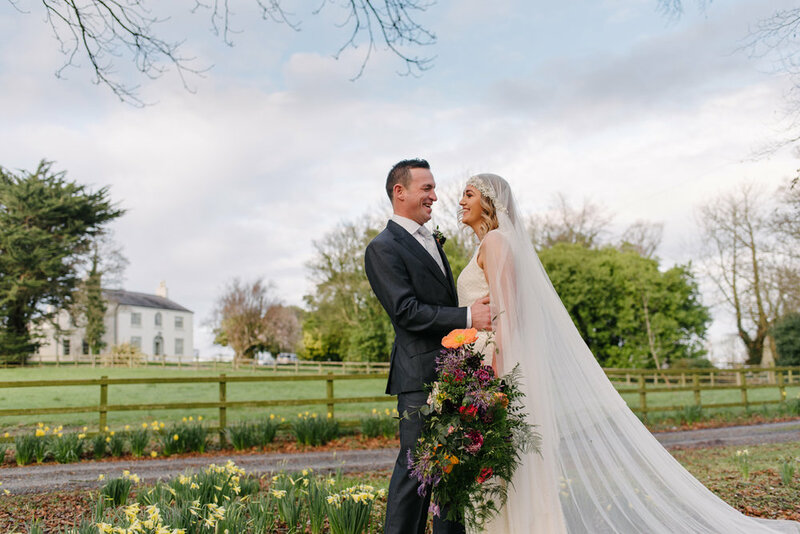 Choose from an outdoor ceremony on the lawns or walk down the dreamy aisle cut through a meadow for a ceremony at the bottom of a gentle hill. Its private owners and small team offer professional service which is personalized, down-to-earth and friendly. Hillmount House – Home to Beautiful Events!